This is a story told in two parts. There are different players in this story, each with a significant part to tell and both are interesting and engaging and totally intertwined. We want to share as much as possible about these contributors and their relationship to each other - Dr. Andrew Rubin and the team at Infinite Biomedical Technologies. First up, visit the story about Dr. Andrew Rubin. A patient of Mark Hopkins, CPO, Dr. Rubin is a writer and English professor who has had an amazing, almost unimaginable journey that eventually brought him to the research team at Infinite Biomedical Technologies (IBT). Dr. Rubin, Dankmeyer, and the IBT team have worked together in a collaborative effort to bring about some very positive outcomes in this story. In the second part, read about the technology that IBT created that turns Dr. Rubin into a self-described “refurbished double amputee”. Click here to keep reading……. Andrew Rubin, “Lecturing Again, at Last"
Dr. Andrew Rubin at Dankmeyer, with his mother and Luca the Goldendoodle. Dr. Andrew Rubin’s limb loss story begins long before his first amputation in 2017. Dr. Rubin experienced multi-organ failure in 2003. He was making great strides in recovery when, in 2006, he had an accident which very briefly paralyzed him from the neck down. In his riveting blog, The Refurbished Body, he writes about his initial illness, his vivid memories of the swimming accident and his subsequent recovery from another near death experience. Eventually, the English professor returned to writing and published a book in 2012, followed by several others. Four years later, the longer lasting effects of the septicemia and the compartment syndrome which had paralyzed and damaged his right leg and hand in 2003 lead to a decision to amputate his lower right leg. Shortly after receiving his prosthesis, Dr. Rubin contributed pictures and video to our website featuring his return to running in the May 2017 Adventist 5K Walk Wheel or Run. If you want to read about that event (and about Luca, his Goldendoodle), you can read that by clicking here. Not long after this successful transition to lower limb prosthetic use he made the decision to amputate his right hand. Dr. Rubin discusses this journey in a magazine article in Experience, entitled “Becoming bionic”, written by Eric Niiler. 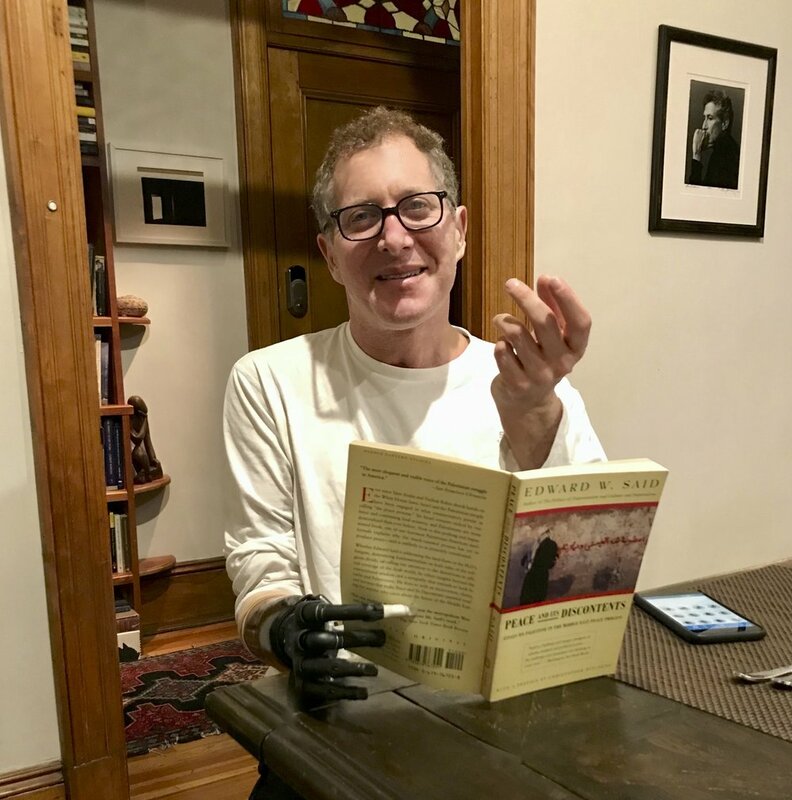 Niiler’s interview details Dr. Rubin’s participation in testing a new type of prosthetic hand with the research and development team at Infinite Biomedical Technologies, located in Baltimore, MD. Niiler also authors an article in the technology magazine Wired, about Dr. Rubin and IBT. In “Bionic Limbs ‘Learn’ to Open a Beer”, the recently FDA approved technology is explained. This technology is covered in the second part of our story, courtesy of Megan Hodgson of IBT. Dankmeyer has been collaborating with IBT in their research efforts for several years, and is very excited that several patients are benefiting from the groundbreaking research taking place there. Take a look at these pictures from Dr. Rubin, followed by a very cool video and then we will take you to part 2! To continue the story, where Megan from IBT writes about some of the technical aspects of this research, click here! This is the second part of a two part story, which begins with Dr. Andrew Rubin’s contribution. In October 2018, Dr. Rubin was featured in an article in Wired, a technology magazine, describing his work with Infinite Biomedical Technologies (IBT). (You can read the Wired article by clicking here.) IBT has been working with Dr. Rubin on a new system that could be used to control prosthetic devices. Megan Hodgson from IBT has provided us with a summary of the technology used on his upper limb prosthesis. 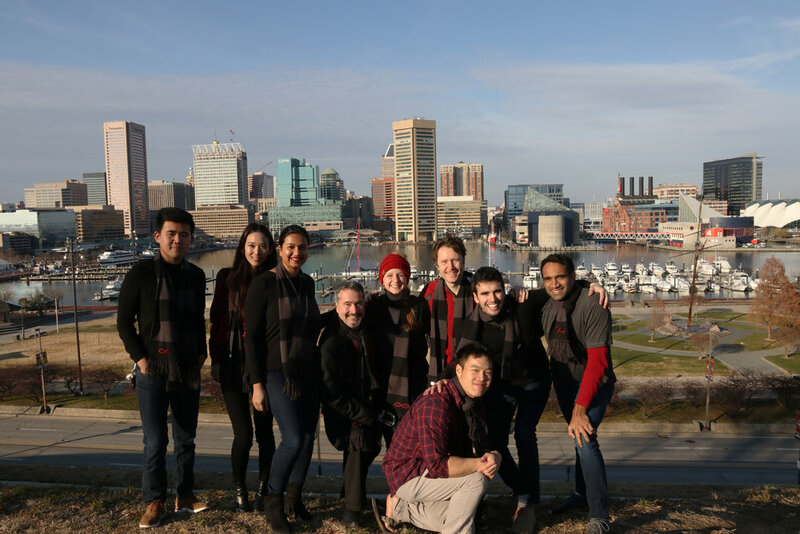 Infinite Biomedical Technologies (IBT), located in the heart of the Inner Harbor, Baltimore, has been developing solutions to improve the care and capabilities of people with upper limb difference since 2011. The Sense system, a pattern recognition-based arm prosthesis controller for electric arms, is one such solution. 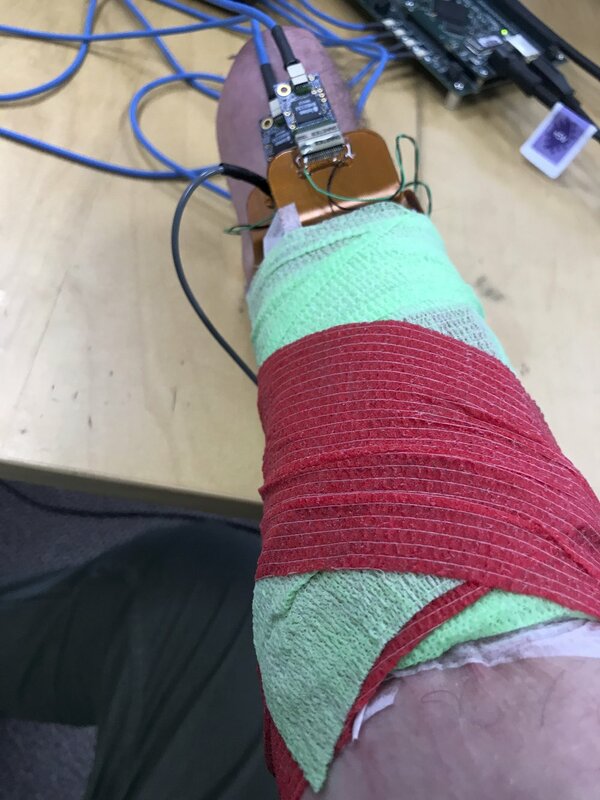 Instead of the standard control methods, which have been around since the 1960s and limit the user to two inputs, the Sense system uses eight inputs to gather information from all of the muscles in the limb as they contract. 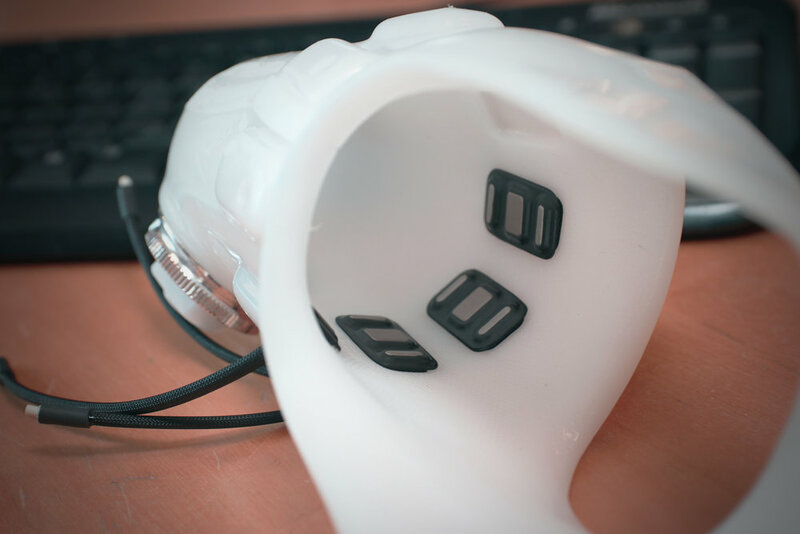 It is more intuitive, as users imagine their phantom limb moving, the sensors record the muscle activity, and the prosthesis responds to what the user is trying to do. Photo Credits: Megan Hodgson, IBT. Socket for Sense user with transradial amputation containing an array of 8 IBT Electrodes. Virtual arm used to train Sense pattern recognition users pre-prosthetically. Sense controller used to implement pattern recognition algorithm. 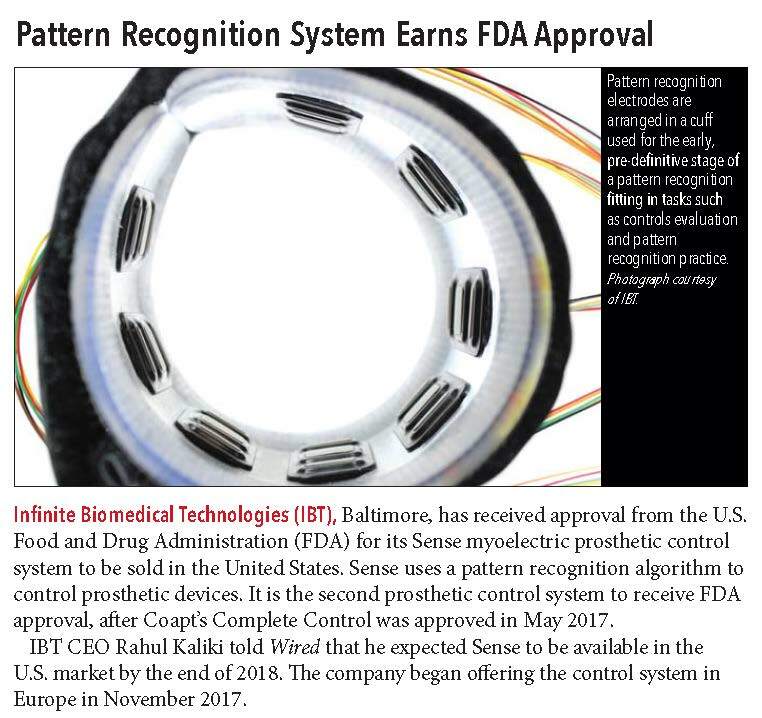 IBT in O&P Edge announces approval from the FDA for the Sense system. The IBT team taking a break at Baltimore’s Inner Harbor. Dr. Rubin is not the only Dankmeyer patient that has worked with IBT. George Levay appears in our News from July of 2017, which you can read by clicking here.